Love is Everywhere: The Energy that I Found! The strangest thing happened less than a month ago. I was sick. Okay, so that wasn't strange because I always get sick, but I had such a severe virus that is has left me without smell or taste. that's the strange part. I'm slowly but surely working my way at trying to get my smell and taste back as I'm 100% healthy. It's the most bizarre thing. Instead of complaining about no taste or smell I've embraced this new experience. I have eaten foods I always hated and I also have been eating better. I might as well eat those gross, healthy foods when I can't taste them, right? What also happened after I was health again, I have this amazing burst of energy. I mean "Crazy, where the HECK did you come from energy?" I've been so much more motivated with Wedding Planning and our house! 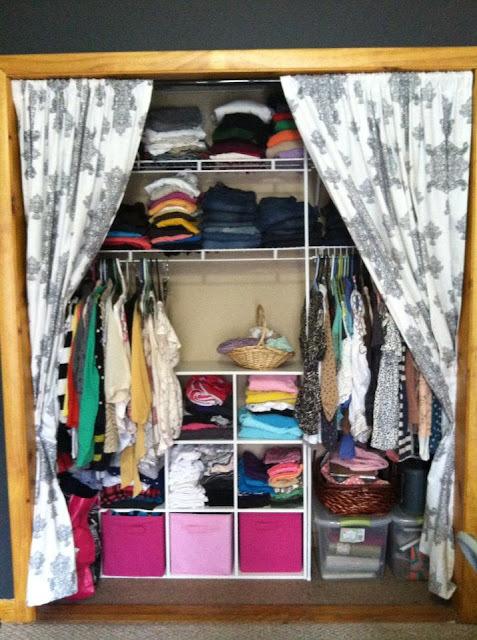 I cleaned out my entire closet and reorganized it all (see below). I went through boxes that were packed away from our first apartment that I have not touched in over 6 years. I threw away things I thought were necessary to save, but were not. I eliminated a lot of clothes and gave them away. It feels so great to simplify my life. 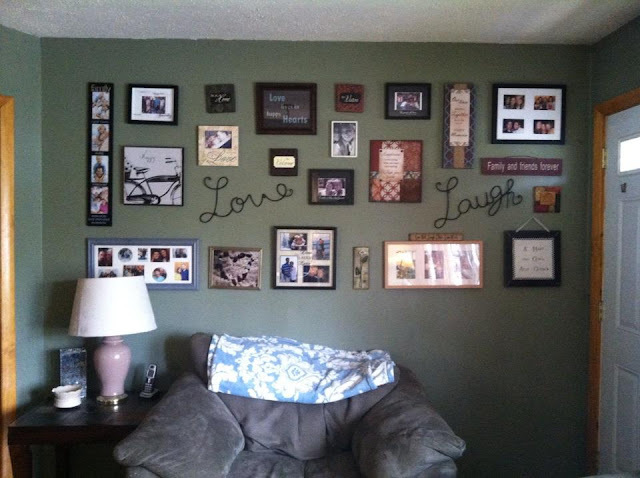 After my closet was finished and I came across boxes filled with frames and random home accessories I completed my Wall of Frames in the Living Room. Of course, I need to add more photos and rotate some old ones out, but it's beautiful in my eyes! Then last Sunday night at 7:00pm after running around all day, I decided to tear up the carpet in our spare room not sure what was underneath, but I took the chance. To our surprise there were finished, beautiful, hardwood floors below that crappy carpet! This week I spent cleaning and organizing the room, using furniture we already owned to give the room it's final touches. 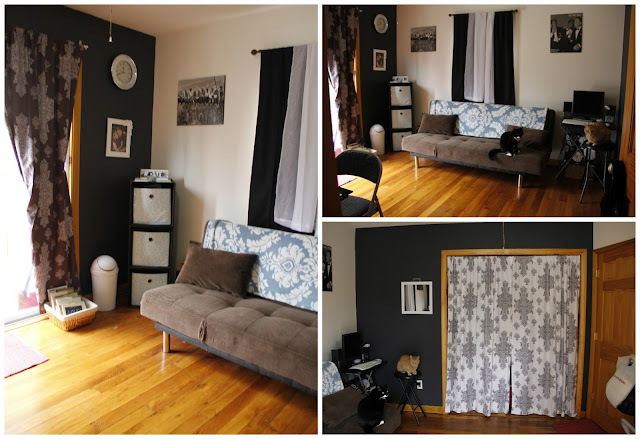 Our Black & White spare room, I love it! Little by little.. we've been in our home for over 3 years and it took me this long to get here.. but I'm here and ready to continue improving this home to officially make it our home with our special love & touches!